Could This Gaming Space Be Heaven On Earth? This room represents one of two things. It is either the gaming heaven, the place all veteran gamers dream of resting in peace when they die, or it is the last sanctuary for the loneliest rich gamer on earth. In the words of the immortal Forest Gump, ‘I think, maybe it’s both’. 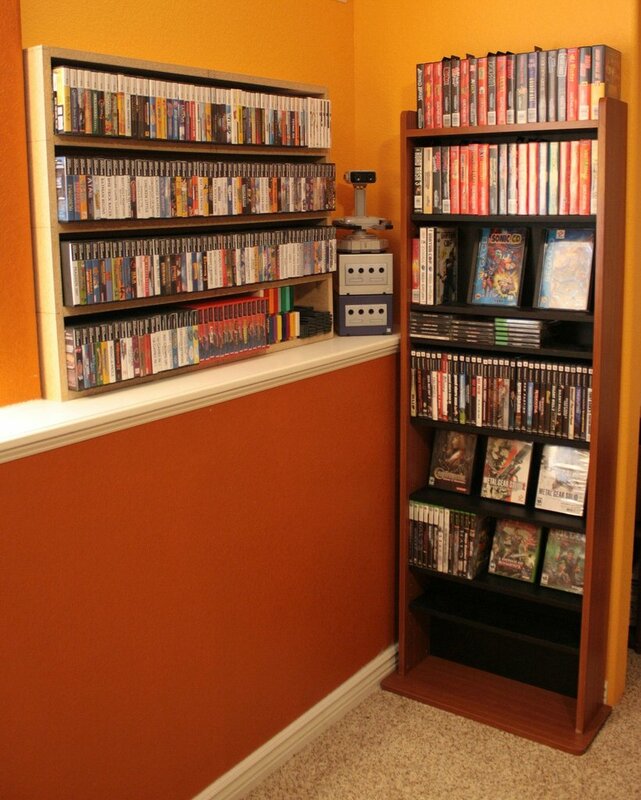 Whatever your take on this unique gaming shrine, it is undeniably impressive, spanning many generations of gaming across multiple platforms. So let’s take a look at what covers the four walls of this epic den. Now that is some Nintendo fetish going on there. 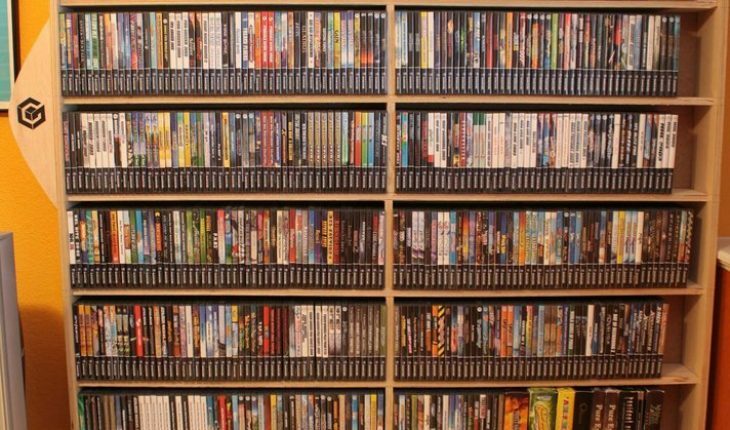 Even if you started playing when you were five, there is enough gaming hours on that wall alone to see you right through to retirement. Retirement from what you might ask? 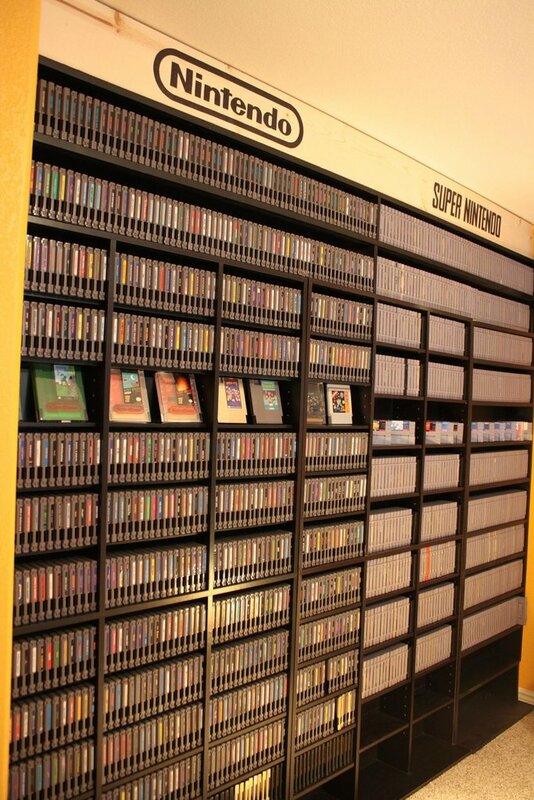 Would anyone with a Nintendo wall like that ever really have time to work. 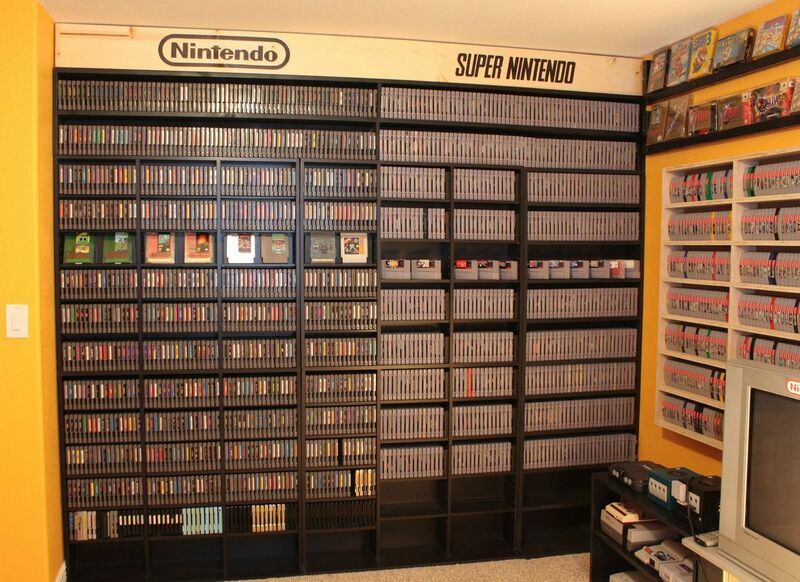 But this wall is just NES and SNES, what about the N64 and Game Cube and everything else in between? 2. Is the retro TV really necessary? There we go, another wall dedicated to the N64 and Game Cube, and if im not mistaken what looks like the start of a Wii collection at the bottom there. This is a serious homage to Nintendo, but I still see room to expand the collection at the bottom of the shelf on the right. 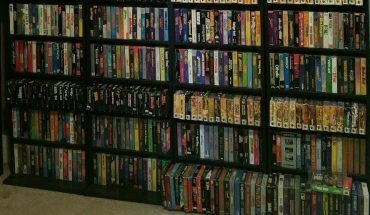 You would think if you had the money to build a collection like this that you could invest in a top-class gaming TV though. Maybe that’s part of the design, a retro TV for the retro gaming collection. 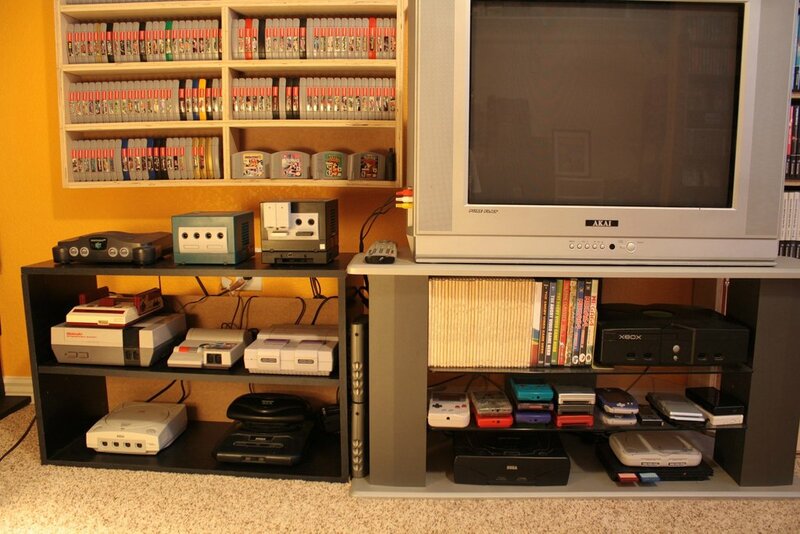 Now that’s what a retro console cabinet should look like. Nintendo and Sega fighting for shelf space, and Xbox and PlayStation sitting quietly in the corner as the new kids on the block. What diversity there is here though, all varieties of Nintendo up to the Game Cube; Sega Genesis 2 and Sega Saturn; Xbox, the small PlayStation and PS2. Then there are the handhelds, I mean how many Gameboys do you need? 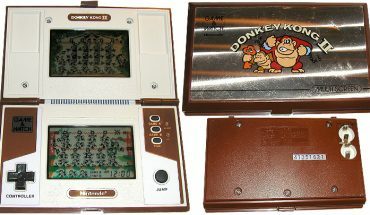 But it’s not just Gameboy on the shelf, there are some GameKing’s there and a PSP but to be fair, Nintendo have dominated the handheld market since the third generation. I kind of feel sorry for the other brands here, Nintendo is clearly the owners console of choice, either that or they are easier to collect. 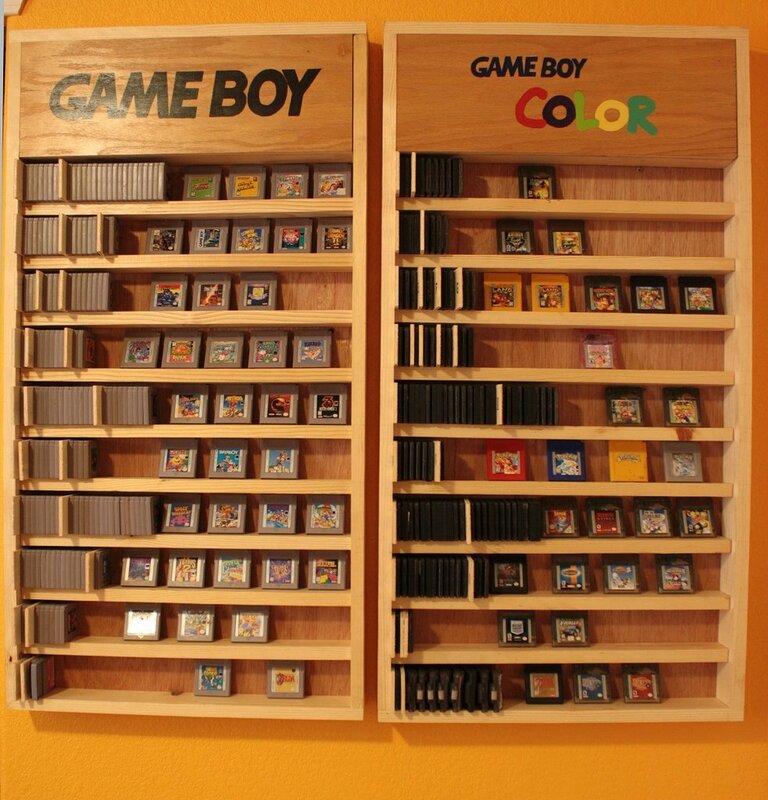 I would have thought though that for someone that owns so many Gameboys that the walls would be stacked. No DS or 3DS here, just good old fashioned Gameboy and Gameboy colour. Still, even in a gaming heaven there is room for expansion. 5. 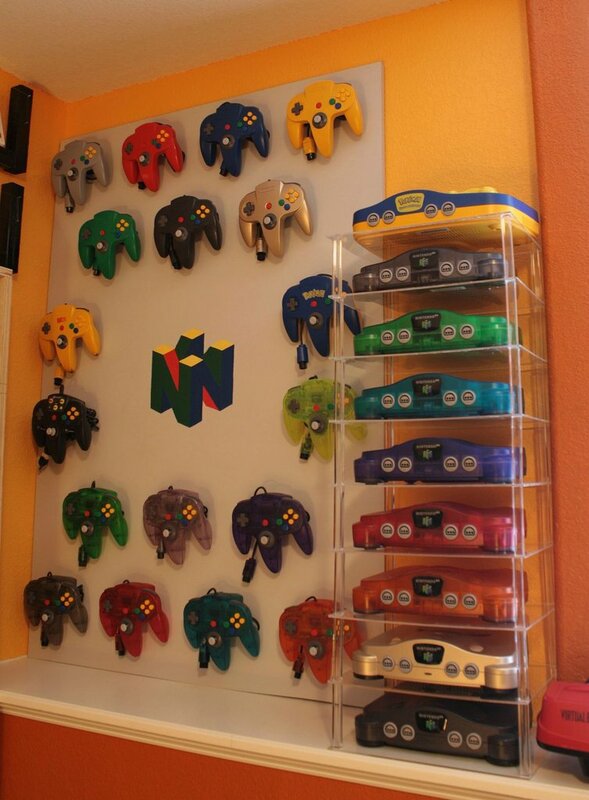 Did the owner just make a Rainbow from N64 Consoles? Can you imagine a multiplayer on Golden Eye if all these consoles and controllers could play at the same time? Epic doesn’t even come close. There is even a Pokémon special edition for good measure. It’s nice to see this shelf paying homage to Sega, Xbox and PS2 after witnessing what can only be described as a severe case of Nintendophilia. It would be nice to see the other brands given a bit more consideration though but let’s face it, we all had a favourite brand, maybe two (for me it was Sega then Sony). It’s clear that Nintendo is firmly in the owner’s heart with these three brands squashed firmly into one corner. 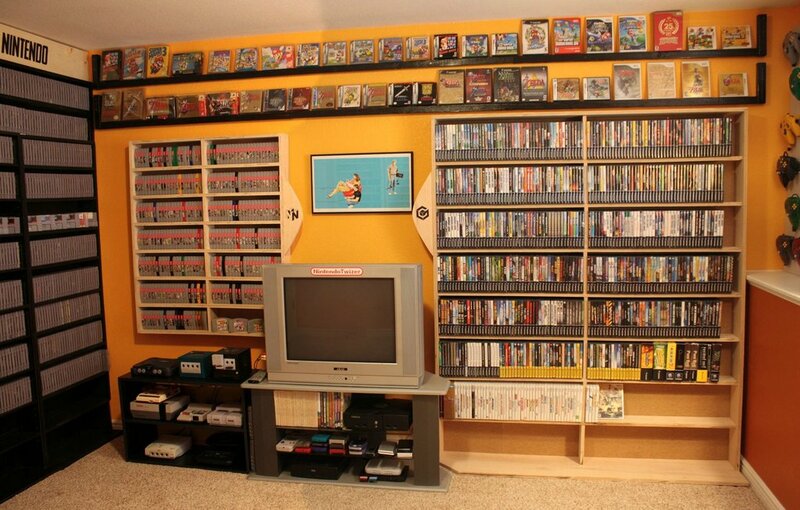 So would this be your gaming heaven, do you share the owners sentiment toward Nintendo or if you had the means to create your own ideal gaming space do you have other brands that you would aspire to collect? This is clearly heaven on earth for one lucky gamer but you know what they say, one man’s heaven is another man’s hell. 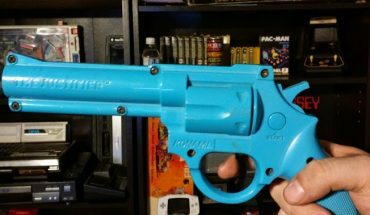 This Guy Is Selling His Retro Gaming Collection for $150k!! !